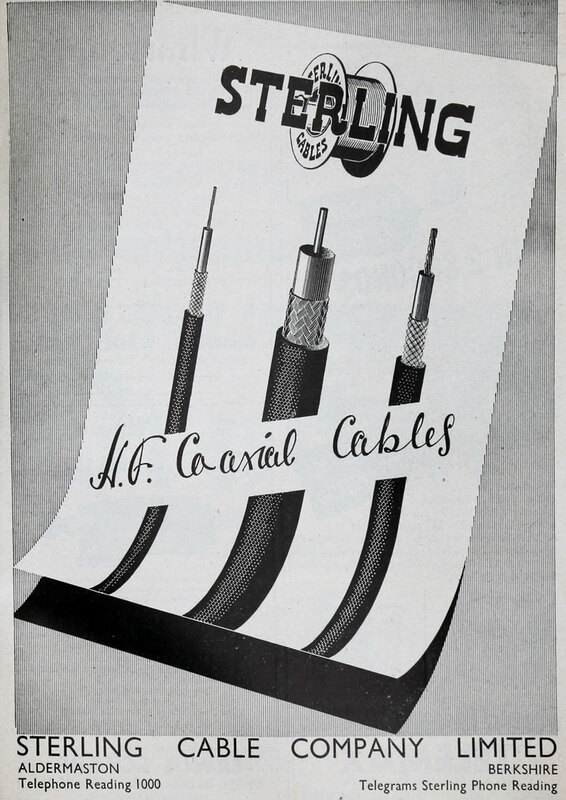 1939 The Sterling Cable Company Ltd was incorporated. 1940 A. C. Cossor purchased the whole of the share capital of the company and reorganised the company. 1961 Electric cable manufacturers. 475 employees. 1961/2 Cossor Group was acquired by Raytheon, the United Kingdom subsidiary of the Raytheon Manufacturing Co of Lexington, Massachusetts, USA. 1964 New vertical extrusion plant at Newbury; new high voltage test facility. Agreement with Glynwed to handle sales of mineral-insulated cable from Wednesbury Tube. 1975 Acquired Greengate Cables Ltd of Trafford Park, Manchester, specialising in rubber and elastomeric technology. 1983 The various companies were merged to form Sterling Greengate Cable Company Ltd.
1986 The Trafford Park factory was closed; some of its elastomeric business was transferred to Aldermaston. 1990 Sterling Greengate was the sixth largest cablemaker in the United Kingdom. It employed 611 people. Mains cables were produced at Warrington; PVC armoured wiring, elastomeric wiring cables and small mains cables information, control and instrumentation cables were produced at Aldermaston. This page was last edited on 28 August 2015, at 19:00.